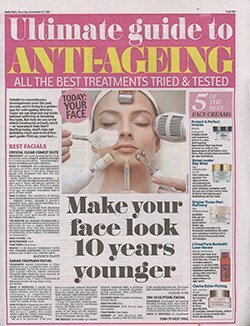 The most effective and advanced skin rejuvenation treatment yet, tackling lines, wrinkles and pigmentation. 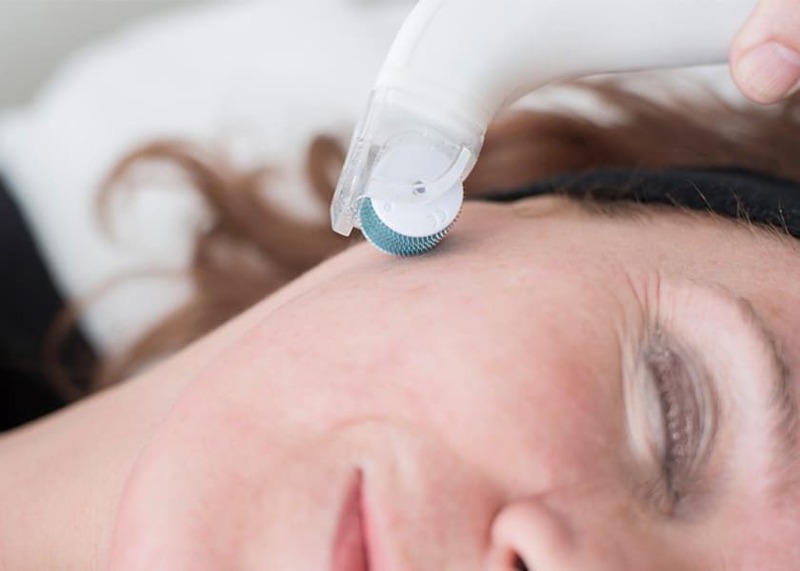 Enjoy a full cleanse and gentle exfoliation, followed by our ground-breaking COMCIT™ treatment, using Cryo Oxygen and Micro Rollers to infuse the skin with our potent Anti-Ageing Infusion and stimulate collagen production. Then lie back while your therapists applies a Crystal Clear face mask to suit your skin type, giving you an extra hit of hydration, firming and lifting. We are truly blown away by the results we have had with COMCIT™, not just on our clients but on ourselves too! 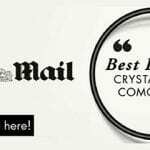 COMCIT™ is the most intense skin rejuvenation treatment yet and is loved and endorsed by many celebrities too. COMCIT™ offers four simultaneous modes of action all designed to stimulate collagen. The first step of the treatment is Cryo Oxygen. Cold oxygen is blown onto the skin to stimulate, energise and cool the skin. Step two is Micro-Channelling. This creates micro channels in the epidermis/ dermis to kick start a healing response process. Topical fusion of active rejuvenating ingredients are then effectively pushed into the skin layers as they now have microscopic channels to penetrate through. Step three Oxygen Infusion. A healthy and radiant skin is a breathing skin allowing oxygen to exchange between the cells to allow perfect function. All living cells in the epidermis require and consume oxygen and at this stage oxygen is infused into the skin. Step four Cooling face mask. To sooth and cool your skin. 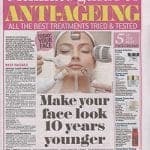 This is used in conjunction with the facial for ultimate results from your facial. For COMCIT™ a course of six treatments is recommended initially for best results. COMCIT™ immediately gives your skin firmness, tone and radiance. Q. What does COMCIT™ do for skin? Smooths and plumps lines and wrinkles. Works on areas of skin laxity on the body such as upper arms, tops of thighs, décolletage. It is especially beneficial treating the orange peel effect on tops of arms and thighs. Results are immediate. Due to the simultaneous action of four skin rejuvenation technologies, you will notice the difference after your very first treatment. Your skin will be beautifully plumped and feel firmer. The result will get better and better as new Collagen production is kick-started around day 4. For a the ultimate rejuvenation we recommend a course of 6 treatments, taken 2 weeks apart. Due to the Cryo Oxygen Therapy elements of the COMCIT™ treatment, it is completely pain free. Q. Can COMCIT™ be performed on any skin type and colour? Since COMCIT™ does not use thermal heat, unlike IPL & Lasers. It is safe to use on all skin types and all skin colours. Your Skincare Professional will discuss a treatment plan and cost with you based upon your needs.